As another new year starts this is often a time of reflection upon our past year and an opportunity to look forwards towards another. 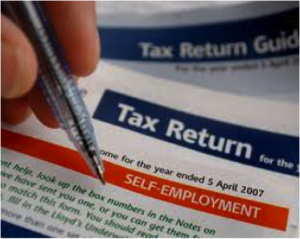 January is also tax return time and for those self employed individuals it is necessary to make sure you have filed your self-assessment return and to pay your tax. In this blog I will be looking at cash flow planning and discussing the ways of managing both your cash and work flow to help plan for your tax and to improve productivity and efficiency. Initially it is worth reflecting on the previous years in order to look for any issues or trends which you might be able to learn from. Reviewing your accounts can help to identify those times of year which tend to be very busy and those which are quieter. A key problem with managing quiet times is often that of cash flow as bills and expenses need to be paid all year round and a quiet spell can place pressure on available cash to meet your costs. Consider what problems your quiet times cause you and on looking back at your past year, could you have done anything to spread the work more evenly? What might the reasons for the being busier or quieter at different times of the year? Holidays – clients often stop treatments during school holidays when they are either away of having to look after their children. Tax Bills – Self employed people need to plan to pay their tax liabilities in January and July each year. 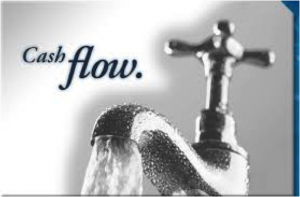 Not setting aside cash to pay these payments can create cash flow pressure. Managing your own Family – Do you have periods where you have to prioritise others over your own work? School holidays can be a common time when work patterns need to change. What support do you have? Do you plan your family around your work or your work around your family? Sometimes it isn’t possible to change things to avoid quieter periods, so instead you could look at what you are doing with this ‘extra time’ and how you use it productively. When things are quieter I use this time to revisit my marketing plans and activity, to look for opportunities for CPD or to work on other aspects of my business which I feel need attention. We are approaching the deadline for submitting your tax return which is something that many of us all often dread doing. I therefore thought I would also look some different strategies to make what can be a daunting experience that little bit easier. Keep your records up to date throughout the year. Set up spreadsheets to help record information accurately and consistently. Set aside some time each month to keep up to date. Consider using an accountant to make sure you are making use of all reliefs and allowances. The savings can often outweigh the annual fees. Consider doing your tax return as early as possible so you know what your tax bill in January will be as soon as possible. Consider doing your tax return on-line which means you have until 31 January to complete your return.